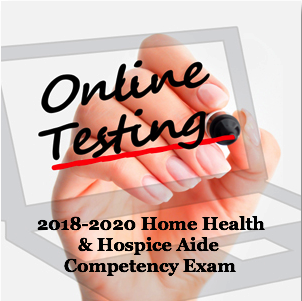 The 2018-2020 Home Health & Hospice Aide Competency Exam is now available! The 2016-2018 Home Health & Hospice Aide Exam Expired August 31, 2018! Make sure you are testing with a current version of the exam to avoid State Survey Deficiency in this area. Basic elements of body functioning and changes in body function that must be reported to an aide's supervisor. Biennially the OAHC Education Committee revises the examination and the Board of Directors approves the examination. Each test version has a two-year validity for competency of Aides. The committee provides a bibliography of resources which agencies can use to address specific training needs of the Certified Nurses Assistant or Home Health & Hospice Aides. Educational programs or agencies other than licensed agencies may purchase the testing packet for use in competency testing of aides, providing the purchasing entity has an RN available who is qualified to competency test Home Health & Hospice Aides and certifies that he/she will follow the OAHC guidelines. These entities will also have use of the materials for the two-year time frame and must purchase a new packet for use beyond the stated expiration date. Licensed and certified agencies should only accept competency testing done by these agencies or programs only if agency policy allows. The entire procedure for test packet request shall be the same for non-licensed agencies as for licensed agencies, with the exception that non-licensed and certified entities will not receive the OAHC Home Health & Hospice Aide certificates with their purchase of the test packet. Please note that the requesting agency must provide a computer with internet access for aide testing. The proctor must monitor the exam process and maintain the quiet surrounding conductive to testing. Member agencies currently using the RCTCLearn.Net program will be able to access the exam through their online login. Fill out and sign the Online Order Form or download the Order Form and return to the OAHC office with payment. Payment must be received before the exam can be sent. Please note that mailing your order and payment to the OAHC office can take up to two weeks to receive and process. For faster processing, use the Online Order Form or email your order form to [email protected] or fax to (877) 458-8348. We can take credit card payments over the phone. Exam & Proctor Guide which includes the Aide Competency Process, Instructions for Aide Competency Testing, Progress Flow Chart, Code of Ethics for the Home Health/Hospice Aide, Use of the Home Health/Hospice Aide Skills Checklist & Proctor information. The study guide is for the OAHC Home Health & Hospice Aide Exam. This study guide was developed to assist the Certified Nurse Assistant hired for the position of Home Health Aide to better familiarize themselves with the areas of care in which they may be responsible. The study guide was developed based on various contributions from individuals serving on the OAHC Education and Conference Committee. The CNA who completes the review and understands the topics presented in the study guide, will be better prepared in their understanding of these topics to complete the OAHC Home Health & Hospice Aide Certification Exam (2018-2020). Payment must be received before the study guide can be sent out. Please note that mailing your order and payment to the OAHC office can take up to two weeks to receive and process. 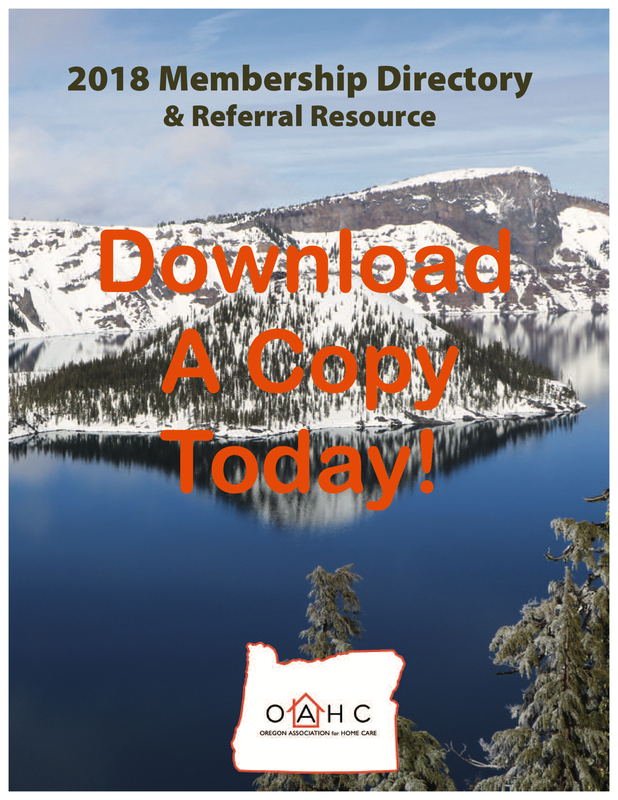 Once your order has been processed, OAHC will email you a PDF copy of the study guide to print and distribute as needed.